Although dental hygiene should be the most important thing for us, that is not always the case, sometimes because we forget or simply because we do not know, we perform some activities that harm our teeth. As human beings, it is normal that we have certain habits, but these habits are not always the most appropriate for us, nor for our health. As most of the time, we are not aware of what habits may be damaging our teeth, we present a list of some habits that may be damaging your teeth without you noticing. Currently, smoking is a fairly common and even normalized habit, now it is rare for the person who does not smoke, however, most of these people do not know the consequences for their teeth smoking. Smoking puts the health of the teeth at risk, as it increases the chances of decay. In addition, smoking decreases salivary flow. 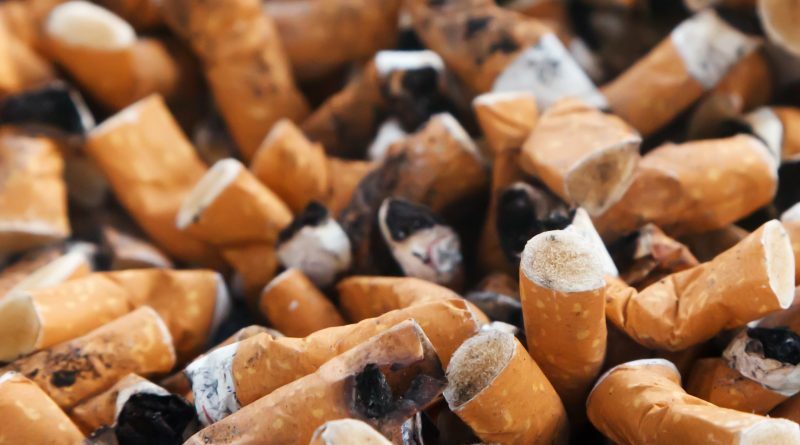 The nicotine and tar found in cigarettes cause yellow spots to appear on the teeth. These spots can cause tartar to appear on the teeth, and this results in a very unsightly image of the teeth. Periodontal disease is a chronic and progressive disease that causes teeth to be lost. This is because the gums receive less blood and oxygen, which decreases the defense mechanisms against bacterial plaque bacteria, which become more aggressive and more actively destroy the tissues that support the teeth. When a periodontal disease has evolved to periodontitis, other symptoms usually appear, such as retraction of the gums, a mobility of the teeth, separation of the teeth, increased tooth sensitivity, gum pain, bad breath and abscesses in the gums. Smoking increases the risk of suffering from oral cavity cancer by up to 60%. The place where you can suffer most from oral cancer by smoking is the floor of the mouth, tongue, lips and salivary glands. All tobacco products (cigarettes, chewing tobacco, pipe, cigars) contain toxic products, carcinogens, and nicotine. Tobacco is responsible for 50% of cases of cancer in the oral cavity, 70% of cases of cancer in the larynx and 50% of cases of cancer in the esophagus. Halitosis is also known as chronic comal breath, which is caused by changes in the quantity and quality of saliva on the buccal microbial flora. Sugar is the main food for bacteria. When they feed they begin to reproduce and accumulate in the teeth, causing that a plaque that is difficult to remove start to form. The bad bacteria that are in the mouth produce an acid that attacks the teeth, and when consuming sugar we are feeding these bacteria, which gives them more strength to attack. The bacteria are introduced into the holes that form in the teeth by the action of acid and stay to live there. These holes are difficult or impossible to clean and always require the intervention of a dentist. To detect caries we have to be alert to spots, hollows, tooth sensitivity or toothache. Although, sometimes, there are no symptoms and we can only notice through a review at the dentist. The teeth are not only broken by bumps or accidents, they can also fracture due to an excess of sugar. This is because the acid produced by bacteria is responsible for weakening the enamel and causes tooth decay, which can cause cracks. This habit is very common, especially in people who suffer from nerves and in young children. And although most people think that this is wrong because of the aesthetic aspect, not only the nails are damaged, but also the teeth, because the habit of biting the nails can cause fractures in the teeth and weaken them. All these factors can have many consequences on the teeth, the worst of all is that the teeth fall. In case this happens, it is necessary to think of solutions that can help us maintain a healthy dentition and not just think that it is too late. Therefore, in case of losing teeth, it is necessary to consider dental implants in Tijuana, which can help us maintain a good denture and prevent other teeth from being damaged. It is also necessary to investigate all the other dental treatments that exist and that can help us maintain a healthy dentition.